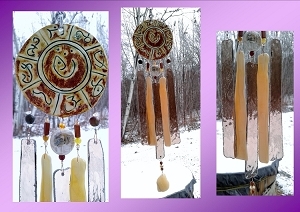 Serene sounding Kokopelli glass wind chime made from a high fire clay. 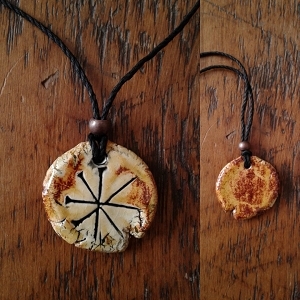 I hand rolled this 3-1/2" clay disc (9cm) carved it with the Kokopelli, fired, then glazed and fired once again. Once cooled, the Kokopelli image was painted with copper metallic paint. 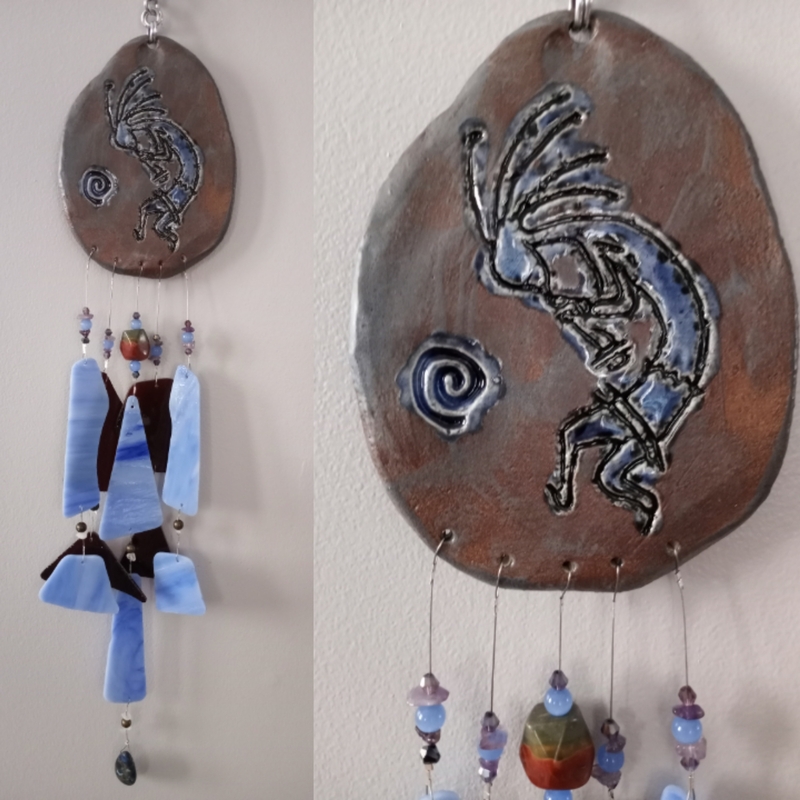 Five strands of translucent fused and unfused teal and bronze glass are decorated with Swarovski crystal glass beads, Quartz crystal chips, Howlite & Agate stone beads, along with a central Czech glass bead. 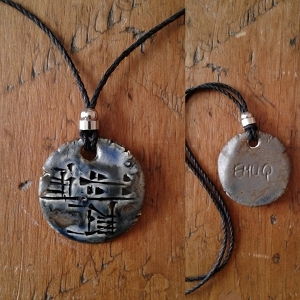 The chime terminates in one of my Bali Om ceramic pendants. Total length from top of hook to bottom is 17-1/2" long (45 cm). The hook is made of chainmail rings and steel. this creature are copied from Hopi art, which in turn is derived from ancient Anasazi glyphs. Known as a fertility god, prankster, healer and storyteller, Kokopelli has been a source of wonder throughout the country for centuries. Kokopelli embodies the true American Southwest and dates back over 3,000 years ago when the first petroglyphs were carved. Although his true origins are unknown, this travelling flute-playing Casanova is a sacred figure to many Southwestern Native Americans. Carvings of this hunch-backed flute-playing figure have been found painted and carved into rock walls and boulders throughout the Southwest. There are many myths of the famous Kokopelli. One of which is that he travelled from village to village bringing the changing of winter to spring; melting the snow and bringing about rain for a successful harvest. It is also said that the hunch on his back depicted the sacks of seeds and songs he carried. Legend also has it that the flute playing also symbolized the transition from winter to spring. 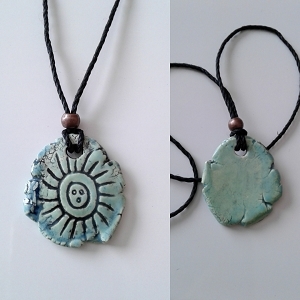 Kokopelli’s flute is said to be heard in the spring’s breeze while bringing warmth. It is also said that he was the source of human conception. Legend has it, everyone in the village would sing and dance throughout the night when they heard Kokopelli play his flute. The next morning, every maiden in the village would be with child.